More bracelets. Yes, I made a lot of bracelets. I guess people like bracelets. 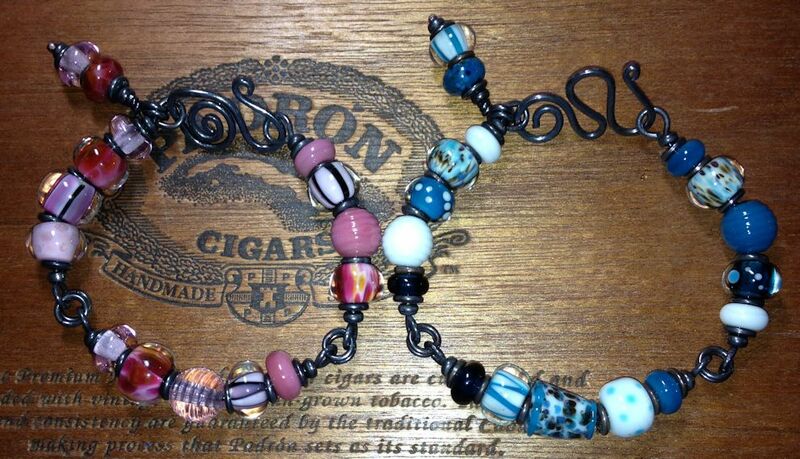 I’ve been making a set of beads each time I torch and have several sets already made. These are the first four I made. I still have several more to make up some more to come in all different colors. 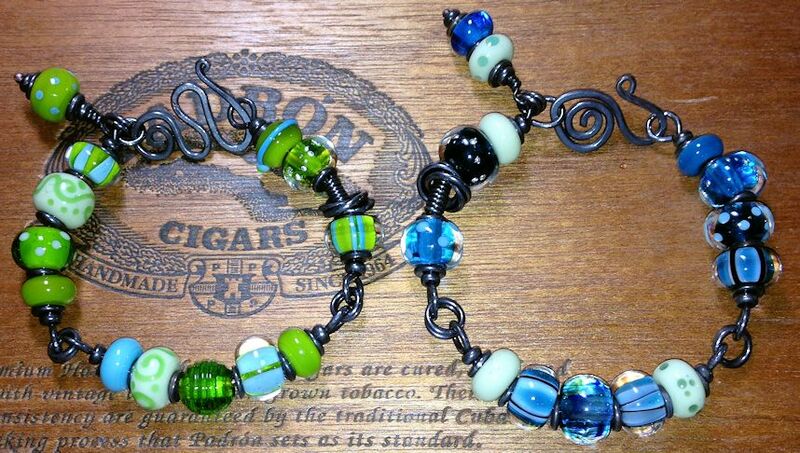 These are made out of copper wire and my lampworked beads.